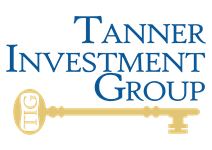 At Tanner Investment Group, we unite the access and resources of leading institutional firms with the personal attention of a boutique practice. We’re Wall Street-forged, but Main Street-focused. By keeping our clients’ best interests at the heart of our process, we deliver best-in-class advice and strategies in a genuine, approachable environment. With over 15 years of experience, we are driven to harmonize your short and long-term goals in strategies that promote your financial independence. Beyond a traditional financial advisor, we serve as your advocate and remain committed to helping you navigate all stages of life. No matter where you are on your journey, our goal remains the same: to provide objective guidance and strategies that enhance your financial peace-of-mind, in whatever form that comes. Life happens fast. Personal situations, family needs, and financial goals can change overnight, and we strive to provide the assurance that our team will be here whenever you need us. By taking a proactive approach to communication, we make ourselves available to you and your family at your convenience. As your strategic partner, we will walk beside you every step of the way.